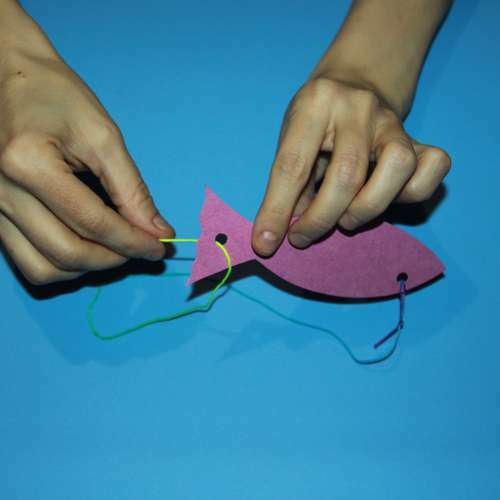 Step 1: Harvest the puzzle: First, cut from cardboard fish and tries to punch her two holes, as shown in the photo. 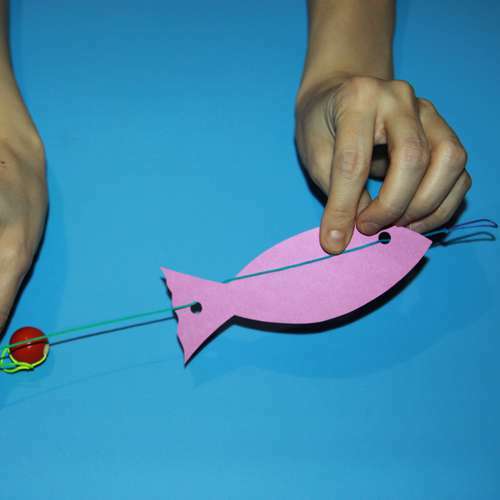 Step 2: Take the rope, which is three times longer than the fish. 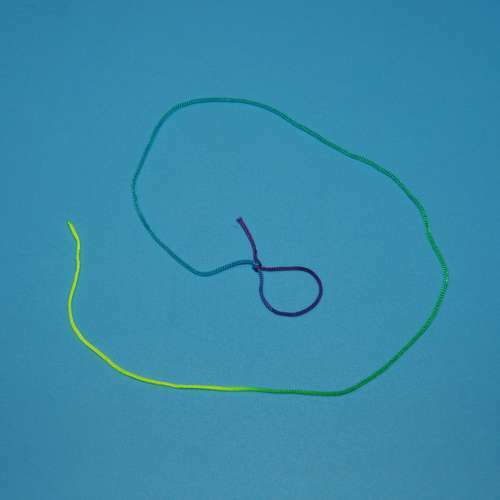 Take on one of its ends a small loop. 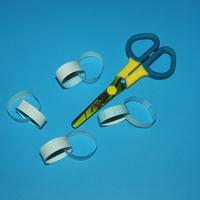 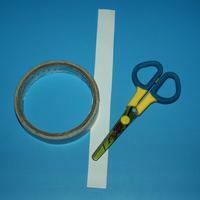 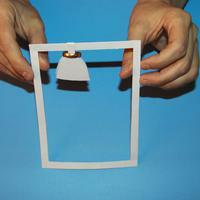 Step 3: Insert the rope in the hole-glazik, as shown in the photo. 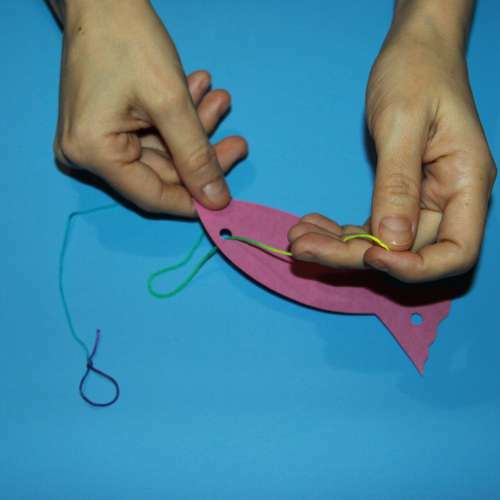 Step 4: Thread the end of the rope in a loop, as shown in the photo. 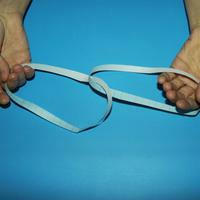 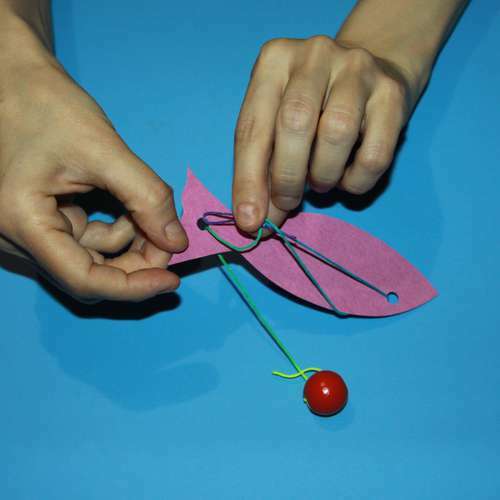 Step 5: Pull the end of the rope loop and tighten. 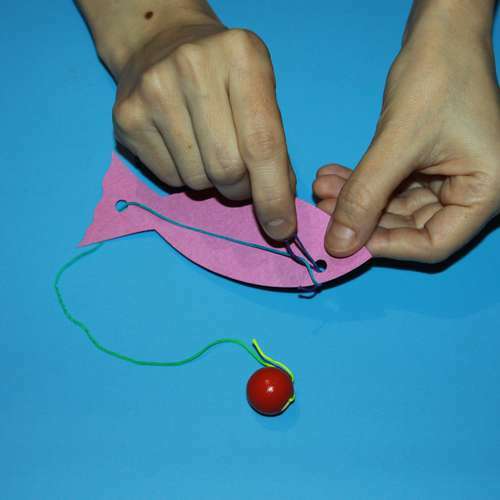 Step 6: Insert the rope into the second hole, as shown in the photo. 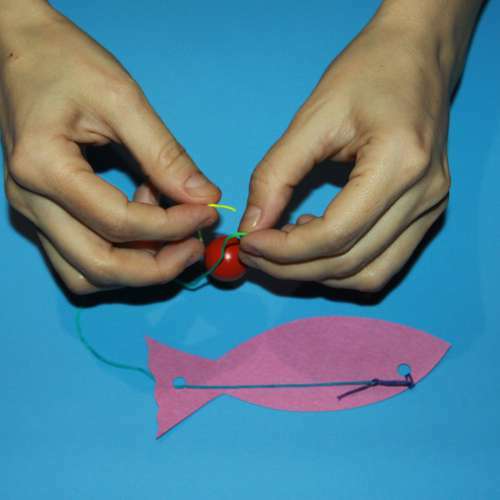 Step 7: Thread the end of the rope to a bead (bead should be slightly smaller in diameter than the loop). 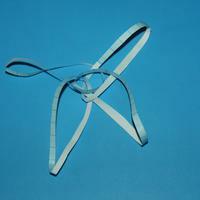 Step 8: Tie a bead. 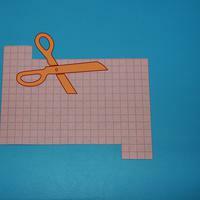 The puzzle is ready! 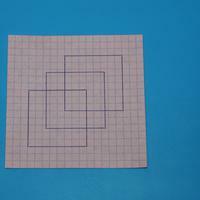 Now try to solve it. 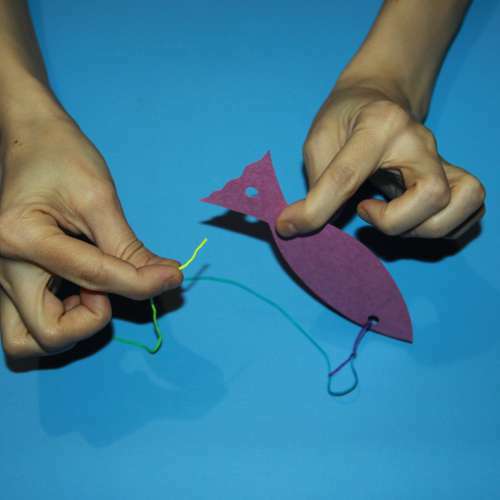 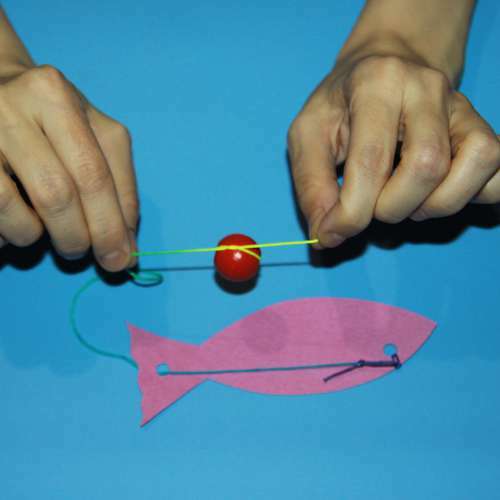 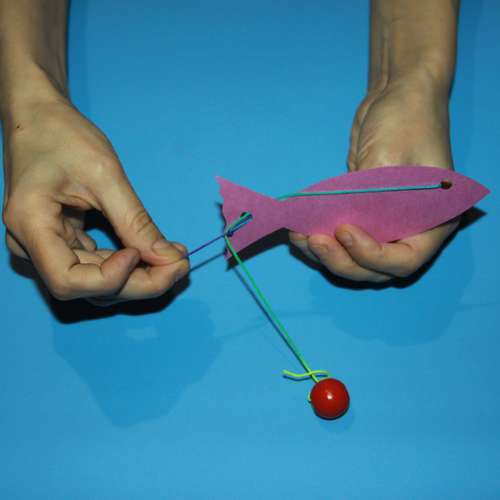 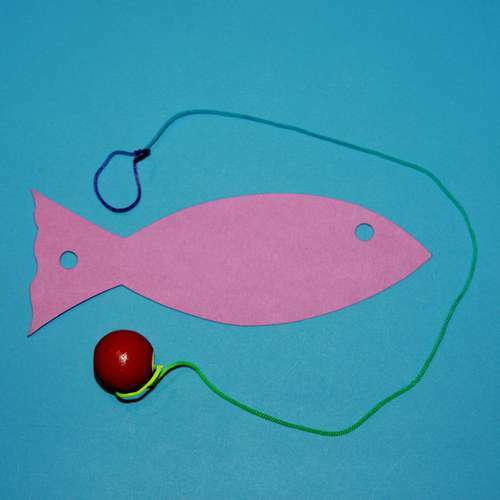 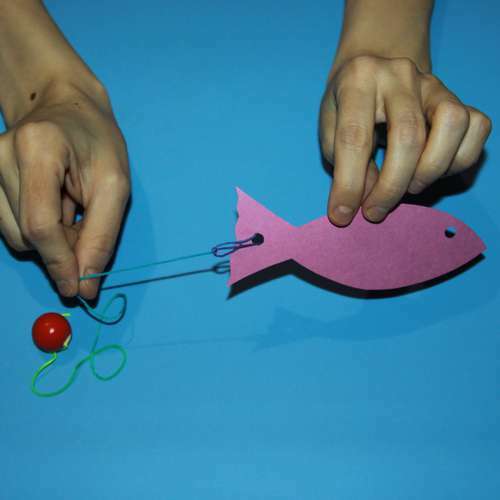 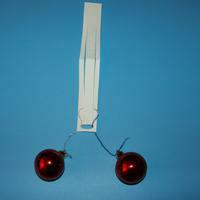 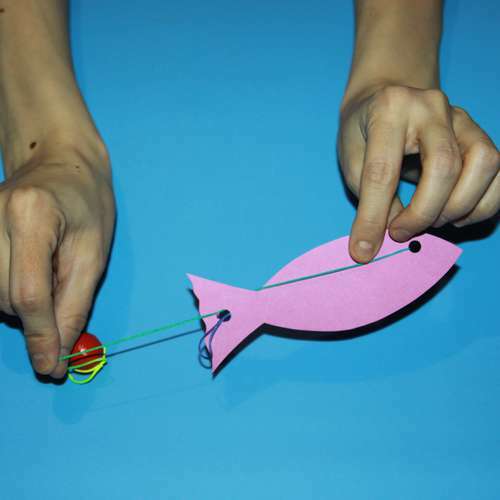 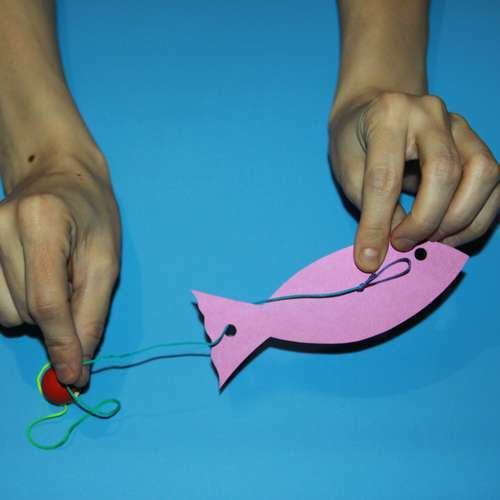 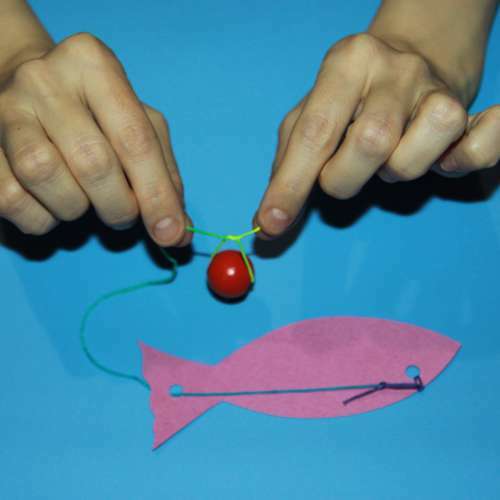 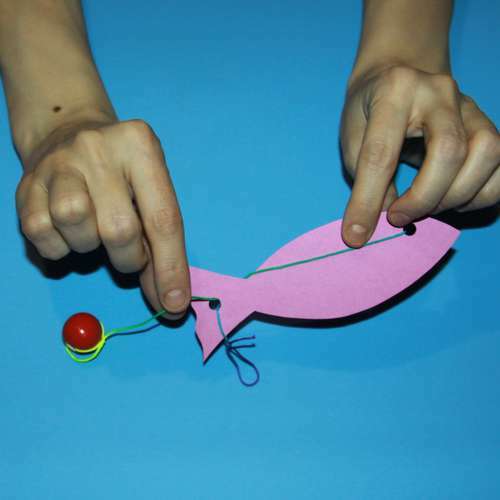 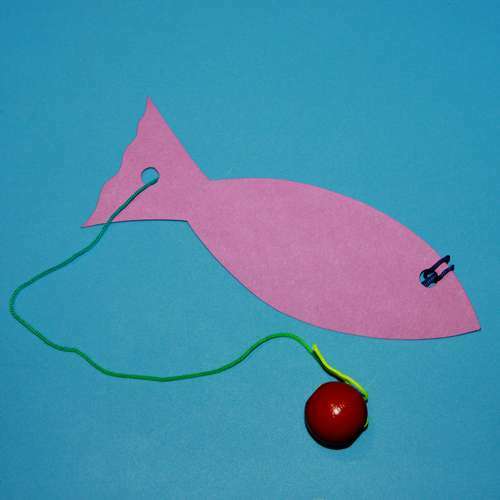 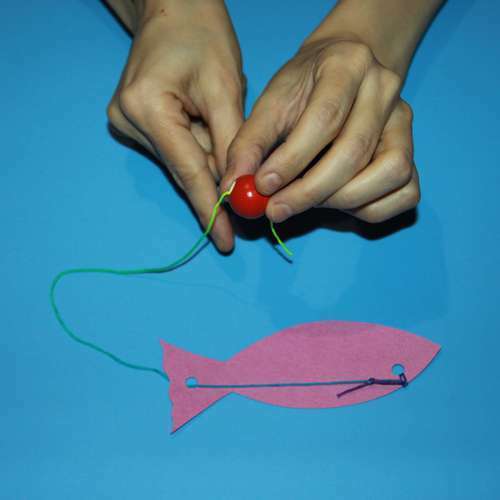 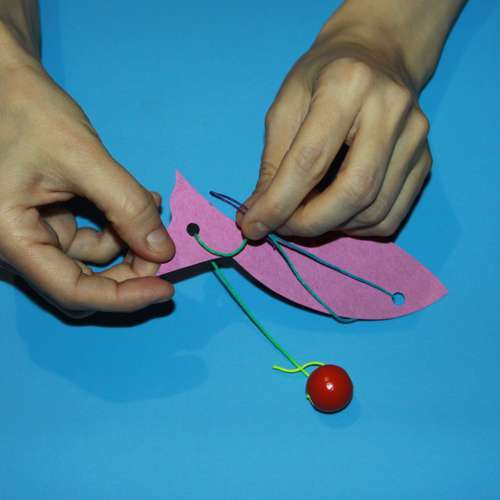 Your task is to free the fish from the rope with a bead without damaging the fish and untying knots. 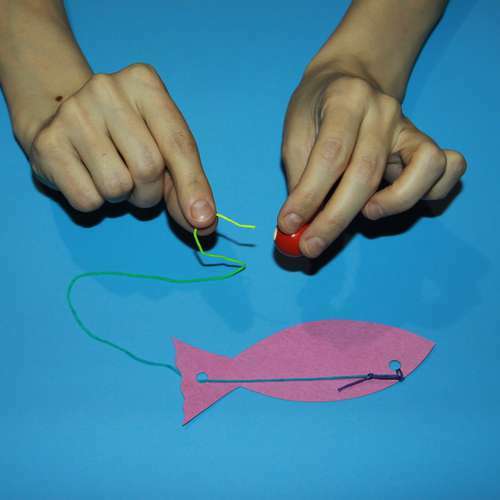 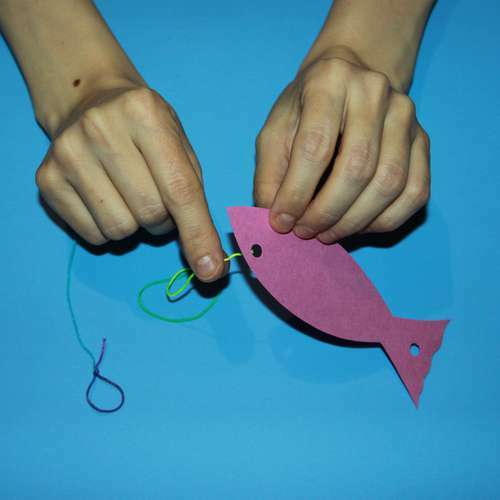 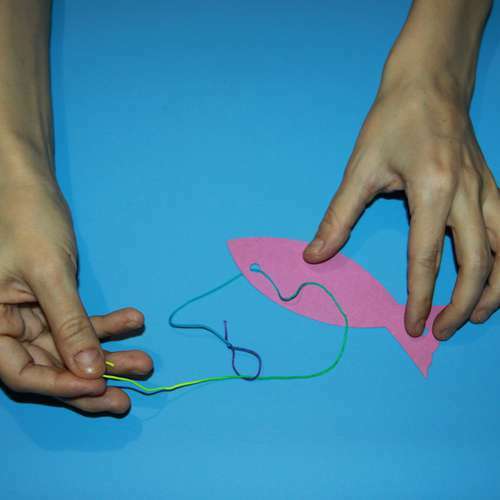 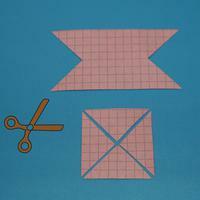 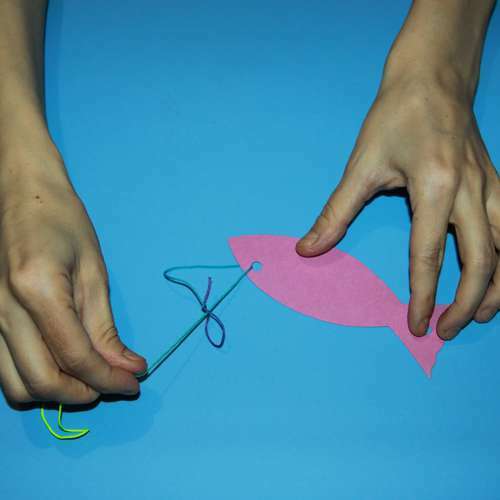 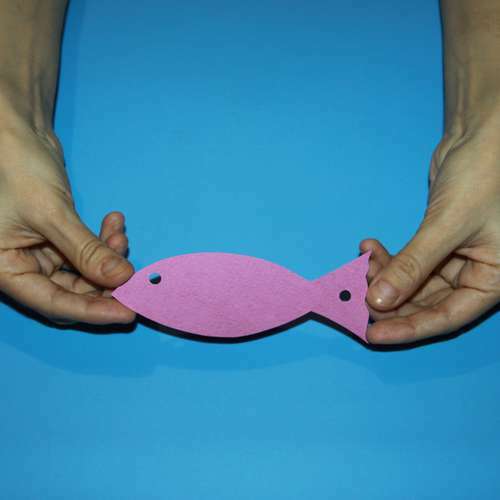 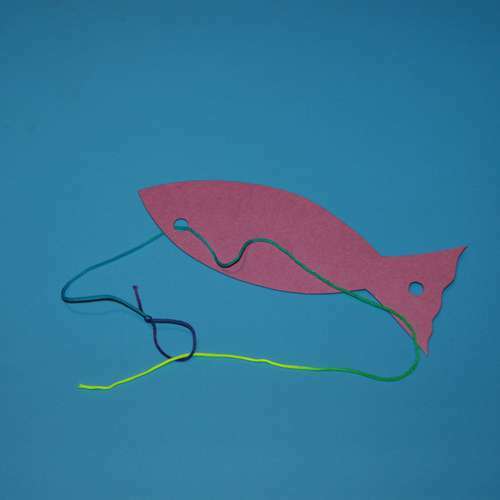 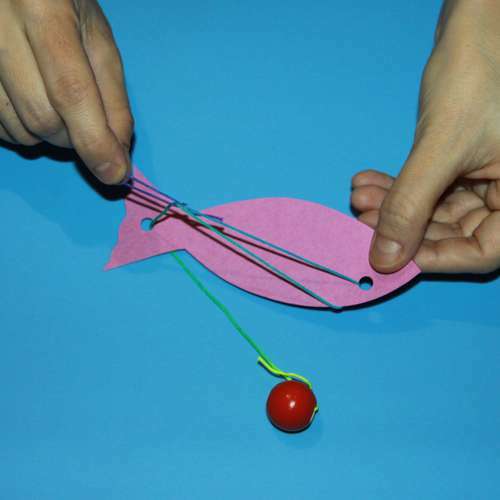 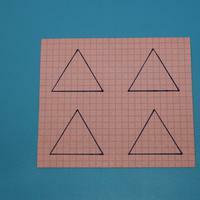 Step 9: Solving the puzzle: Step №1: Pull the loop on the wrong side of the fish, as shown in the photo. 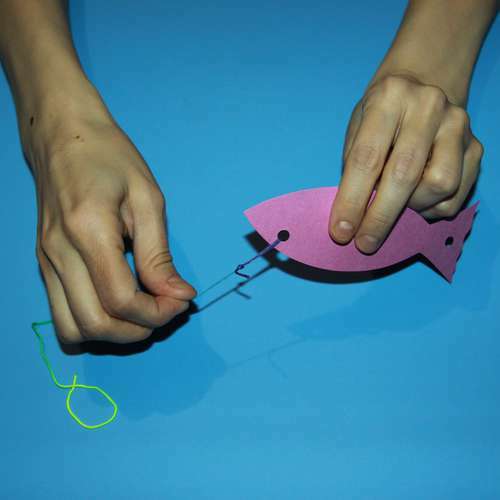 Step 10: Step №2: Drag the loop to the hole in the tail. 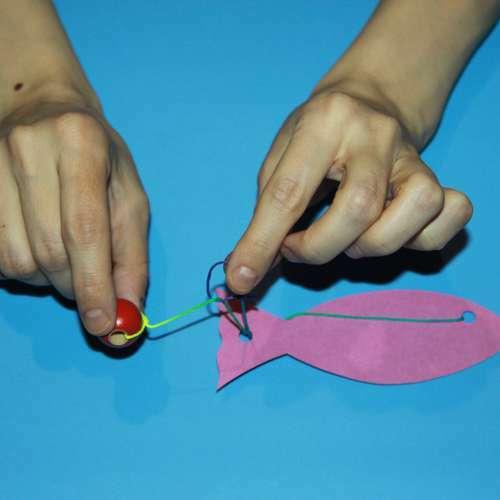 Step 11: Step №3: Pass the loop in the hole at the tail. 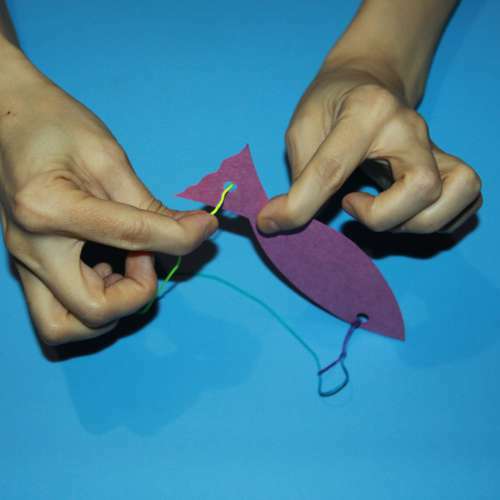 Step 12: Step №4: Thread the bead through the loop. 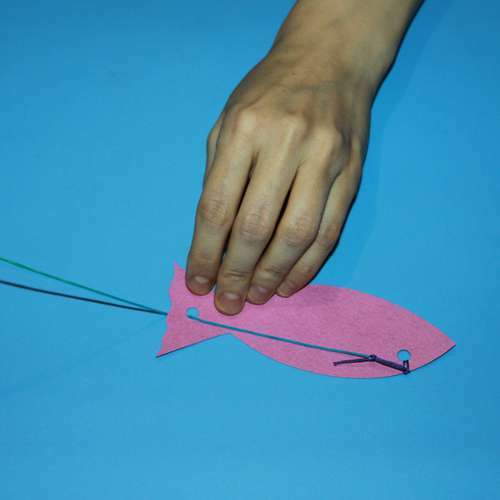 Step 13: Step №5: Now just pull the rope out of the fish.